If you can't use your nails, you could try a plastic guitar plectrum if you've got one as they are quite good for lifting things like screen protectors. Or maybe try tweezers if you're careful. If you can't use your nails, you could try a plastic guitar plectrum if … If you can't use your nails, you could try a plastic guitar plectrum if you've got one as they are quite good for lifting things like screen protectors. Or maybe try tweezers if you're careful. The screen protector should be smaller than the screen itself so you should be able to see the edges of the protector near the edge of the gamepad screen. If you can't see any edge then as you say there might not be one on there. Sorry, if the problem is the gamepad is unresponsive then you could try re-syncing it with the Wii U. 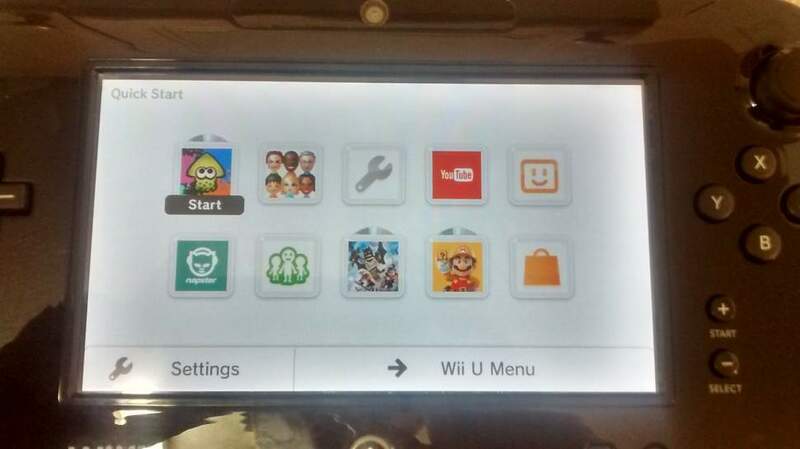 Press the sync button on the Wii U twice. Press the sync button on the GP. It should say it's already synced. Now hold the power button on the GamePad to turn it off. When you turn it back on it should say it can't find the Wii U. Now press the sync button on the GP and you should get to the "enter the four symbols" screen. I've stolen this from somewhere else but if you want to try re-syncing … I've stolen this from somewhere else but if you want to try re-syncing the gamepad you can try this :Press the sync button on the Wii U twice. Press the sync button on the GP. It should say it's already synced. Now hold the power button on the GamePad to turn it off. When you turn it back on it should say it can't find the Wii U. Now press the sync button on the GP and you should get to the "enter the four symbols" screen. It was the screen protector that was causing the problem. I didn't remove it but instead I smoothed it out. Hmm sounds like a hardware rather than a software fault - it still under warranty? You are probably best to phone the Nintendo support helpline as they are the best ones to advise you. "Our team is available 8:30-19:00 Monday-Friday and also 8:30-15:30 on a Saturday via 0345 60 50 247"
Same thing happened to me.It was the screen protector that was causing … Same thing happened to me.It was the screen protector that was causing the problem. I didn't remove it but instead I smoothed it out. Hmm sounds like a hardware rather than a software fault - it still under … Hmm sounds like a hardware rather than a software fault - it still under warranty? You are probably best to phone the Nintendo support helpline as they are the best ones to advise you.I actually contacted them the other day by email but ended up needing to phone them. If you want to try them then their contact details are:customer-support@nintendo.co.uk"Our team is available 8:30-19:00 Monday-Friday and also 8:30-15:30 on a Saturday via 0345 60 50 247"
So does holding the power button down not do anything? Like it doesn't turn the gamepad or Wii U on/off? "Check around the edges of the Wii U GamePad for debris that may have lodged between the screen and the housing. If debris is found, attempt to remove it using the following steps. Do not use any sharp or hard objects to try and remove it." Hold down the A Button, B Button, + Button, and - Button for at least 3 seconds.